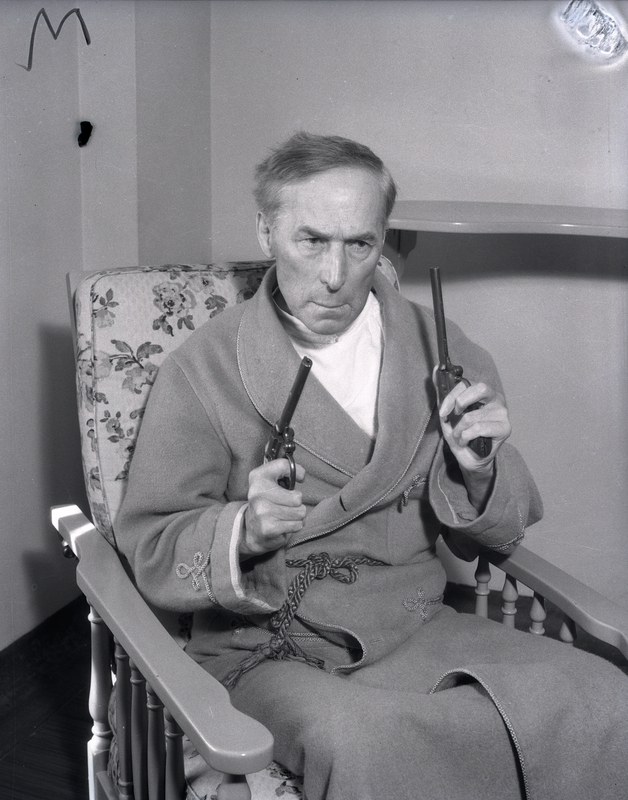 SCVHistory.com LW3041 | William S. Hart | Two-Gun Bill Hart at Home in Newhall, 1-7-1946. January 7, 1946 — Western film star William S. Hart at home in Newhall, 5½ months prior to his death. Photo by George Watson. Original 4x5-inch negative from the Watson Archive. LW3041: 9600 dpi jpeg from original 4x5 negative purchased 2017 by Leon Worden.